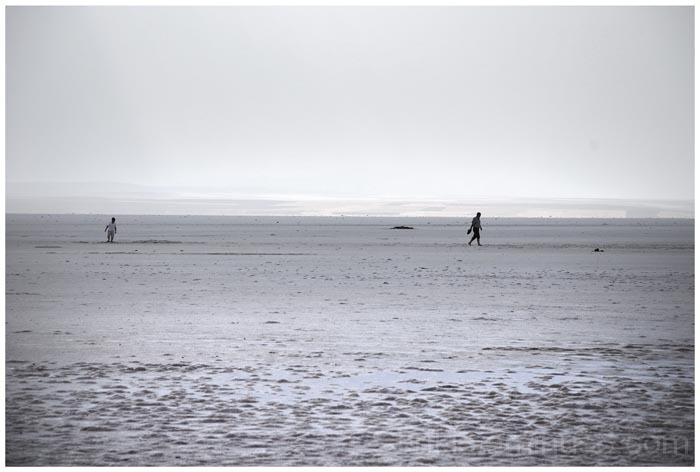 yiannis krikis (thessaloniki, Greece) on 29 October 2012 in Landscape & Rural and Portfolio. I do not know where they go, this is the edge of a salt lake, certainly picked up salt. A beautiful photo. I love. Breathtaking scale to the landscape with these tiny figures - and lovely minimalist composition. I like the POV and the lovely layers in this image. Wonderful mood and feeling of peace ~ great capture! Beautiful. I like how the horizon just disappears. Gorgeous! The beach, sea, and sky almost dissolve into one another. Fine shot. I prefer thiw one. I am a fan of BW. What is going on with the man on the left. Did he stuck? That is another very nice shot. One person walking from the other in that wide expanse. I feel like that is part of a larger story. love the silvery overall look of this. nice minimalism. a fine shot of this pair in this vast beach..